We have just returned from a journey to South Korea and whilst we only visited Seoul we had an amazing time. Due to time constraints we could only stay for a short period of time, however we did see all the major tourist stuff and have a good idea for next time. 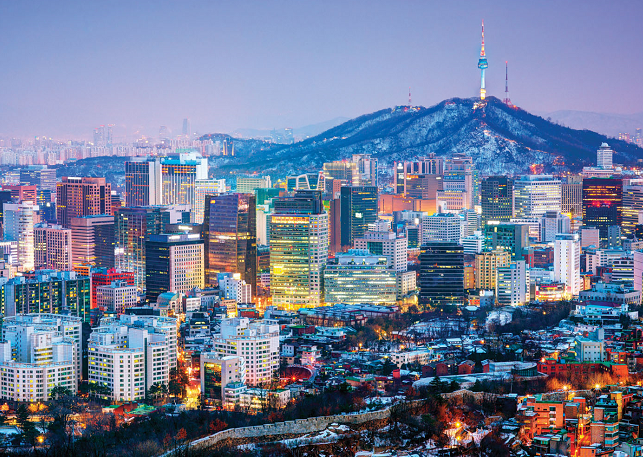 Here are our top picks on where you should go and what you should do whilst in Seoul . This is the royal palace and whilst it was constructed in the 14th century, after it burned down it remained empty for over 200 years. In 1867it was reconstructed and here it is. The palace is located nect to all the other tourist attractions in Seoul and the best subway station is Gwanghwamun Station. We recommend that you give the palace at least 3 hours to enjoy it’s full beauty. Also known as Namsam tower, the Seoul tower dominates the full Seoul skyline and offers amazing views of the full city. This is highly recommendedand is the highest point of the capital with it being over 200 meters high on top of the mountain. To get to the top of the tower, you will have to ride a cable car up the mountain and then walk up to the base of the tower. The price of an admission ticket are 12,000 won to go to the top. Inside the tower features a gift shop, two restaurants and 4 observation decks. From the top deck, you will get a breathtaking 360° view of Seoul. Located in between two palaces – Gyeongbok and Changdeok – this traditional Korean village has an extended and exciting historical past. The area is preserved to show off the 600 year-historic city atmosphere, which is composed of many small alleys and ordinary wooden residences. 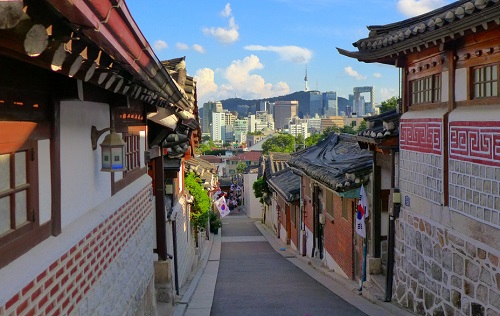 Bukchon Village is extensively viewed as one of the crucial picturesque neighborhoods on the planet. Stroll along the street and you will run into small courtyards, cafés, artwork galleries and restaurants. Add Bukchon Village to the highest of your record, due to the fact that it’s a have got to-talk over with situation whilst you might be in Seoul. From our brief experience in the city of Seoul, Hongdae is the best concentrated area for nightlife in the entire city. The district itself in the day is known for its arts, indie music culture and entertainment. The location is great because it is right between some of the biggest universities in the city. There are a seemingly unlimited number of bars and clubs which stay open until way after sunrise. The street food in Korea is delicious, you must try it whilst in the city. If you have only one night to party in the capital then you must go to Hongdae and experience the party. Korean BBQ is the more traditional meal that you will find all around Korea. All of these restaurants are very similar, where you’ll sit down at a table with a fire grill in the middle, and then you get to cook your marinated beef (or pork) how you like it. During your meal, you will get an unlimited supply of side dishes (called banchan in Korean). It’s very common to drink beer and soju with your meal. The best part is the cheap price- which is from $8-12USD per person!